Good news for pedestrians and cyclists: the City of Boston plans to lower speed limits to 20 MPH in some neighborhoods. Officials will also advocate to lower Boston’s default speed limit to 25 MPH. Mayor Marty Walsh released the city’s Vision Zero Action Plan last week, including the Neighborhood Slow Streets Program, which will be launched in 2016. A pilot program will introduce traffic calming measures and a 20 MPH speed limit to the Talbot-Norfolk Triangle in Dorchester and the Stonybrook neighborhood in Jamaica Plain. The full program will be launched later in the year and residents across the city can apply. 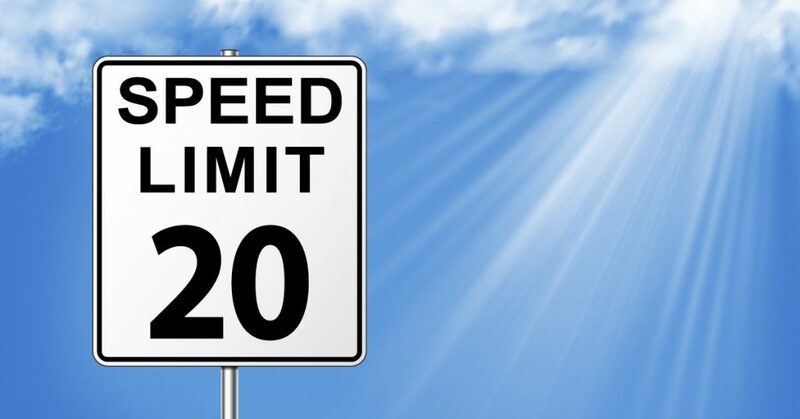 The default speed limit on local roads in Massachusetts is 30 MPH. The Massachusetts State Legislature must approve any change and it has not acted on past bills. 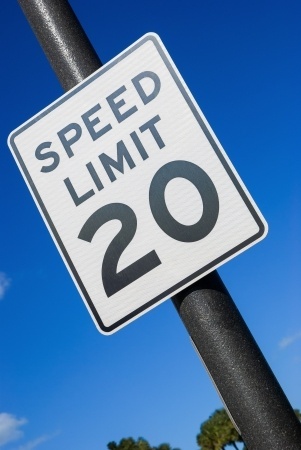 The Metropolitan Area Planning Council, a proponent of the change, has said lowering the speed limit would prevent 2,200 car crashes, 18 fatalities and 1,200 injuries across the state each year. Some $210 million would be saved in medical payments and lost work. In 2014, Boston Emergency Medical Services treated two to three people each day due to pedestrian and bicycle accidents. Earlier this year, Mayor Walsh announced Boston would adopt Vision Zero to eliminate traffic fatalities and injuries by 2030. The far-reaching plan includes many infrastructure and technology changes, from the implementation of smart parking meters to building protected bike lanes in crash-ridden areas and better data collection among city departments. Boston joins other cities around the world in adopting Vision Zero initiatives. The first was adopted in Switzerland nearly 20 years ago. In recent years, New York City, San Francisco and Chicago have adopted plans. 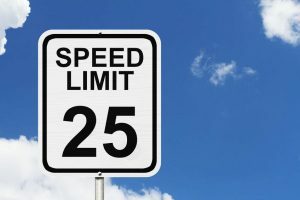 New York lowered its default speed limit from 30 MPH to 25 MPH last year and San Francisco city supervisors began discussing a 20 MPH speed limit last winter.